Pain After Root Canal - How Can a Tooth Hurt Without a Nerve? Pain after root canal treatment is very disappointing. You've already had the toothache (sometimes severe pain), gone through the hours of root canal procedure, paid the fees and now you still have pain! What on Earth could be the matter? There are a number of things that can cause pain after root canal. Some of them may be preventable, some of them can be treated and will get better, but there are a few that cannot be fixed. Find out which is which in this run-down of the main causes of pain after root canal. How can you tell if your pain after root canal treatment will settle down with a little time, or whether you need to get something done to fix the problem? OR if the problem CANNOT be fixed? Read on below to find out all about the possible causes of pain following root canal treatment! Infection in the bone around the tooth root is a possible cause of pain after root canal treatment. You may have had perfect root canal treatment. 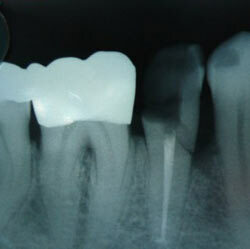 The tooth roots have been cleaned out, sealed properly, and the tooth built up with a great filling or crown. But if bacteria are still in the bone around the root, it will be inflamed and painful. This will normally settle down on its own, given a little time. Without a source of infection (the dead nerve in the root canal), the bacteria have nowhere to hide, and your own immune system will deal with the infection. You can speed things up with a course of antibiotics. Take a look at tooth abscess antibiotics. Infected root canal. A root canal can get infected again after it has been treated. Find out more at the infected root canal page. Canal overfill. Sometimes pain after root canal can be caused by the root filling material being forced out of the tip of the root. Whether this causes any pain or not depends on whether there is any "room" for the material or not, what the material is, and how much escapes and where it goes. In the image above, there is a small amount of filling paste extruded out of the tip of each root. 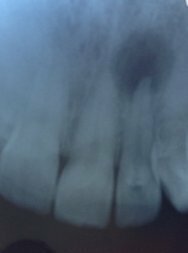 If you have had an infection in the root of the tooth for a while, the bone around the root resorbs a little, and there is a small empty space around the root tip. So if a little dental cement gets out of the root tip, it's unlikely to cause a problem. On the other hand, if the tooth has not had any infection around the tip of the root, there will be hardly any space for any excess cement. Even a small amount of cement will cause a degree of discomfort and moderate pain. At the other extreme, if a LOT of cement is forced out of the tip of the root, it can set up an inflammatory reaction that can be very painful. This may take a few weeks to settle down. If there is a LOT of excess cement in the bone around the root, the cement may need to be surgically removed. It kills most bacteria inside the tooth. It dissolves any remaining tags of nerve tissue inside the tooth. It washes away the slurry that builds up during root canal treatment. But sometimes (rarely) some bleach solution can escape out of the root tip. Normally, this causes immediate extreme pain, even with the area numb. The dentist will normally flush the tooth out with distilled water, dress it, and prescribe antibiotics and painkillers. But the area will still be painful for some weeks. Cracked root. This is bad news, I'm afraid. If the root of a tooth is cracked, it is pretty much impossible to fix. Despite several visits to the dentist for disinfectant dressings and courses of antibiotics, the tooth refuses to settle down. It's tender to bite on, and the gum over it may be tender too. Unfortunately the only solution is to remove the tooth. To see what this looks like, have a look at cracked tooth root photos. Final filling or crown "too high" or too big. You may get pain after root canal because the filling or crown is a fraction too big, and hits the opposite tooth too heavily when you bite. You can read more about these two possibilities at Tooth Pain After Filling and Tooth Pain After Crown. The root treatment may be perfect, but if the tooth is being bitten on too much, it becomes painful. The solution is relatively easy - the dentist needs to adjust the filling or crown slightly. Once he removes the "high spot", the tooth will settle down, although it can take 3 to 5 days. Air being forced out of the root tip. Some dentists use a root filling system called Thermafil or SoftCore. These are excellent systems, and help general dentists to treat the more complex cases. However, if used carelessly, it is possible (although rare) for a tiny bubble of air to be trapped under the root filling as it is pushed into place. This gets pushed out of the tip of the root, causing pressure for a short time. This can be painful for a few days until everything settles down. Missed canal anatomy. The space inside the tooth that is treated during root canal is very tiny. In a lot of teeth there are several spaces or "canals". Some of them can be very hard to detect, especially in a molar root canal. It is possible for a dentist to miss a canal. This means that there will either be a little bit of nerve left behind inside the tooth, or else a small space where bacteria can live, causing an infection. In the first case, the tooth will be sensitive to hot and cold, mostly to hot things. In the second case the tooth will be sensitive to pressure. This will not settle down on it's own. The root canal treatment needs to be re-done, preferably by an expert endodontist. 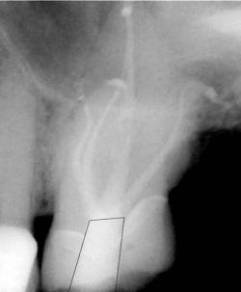 Multiple apical deltas harboring infection inside the tooth. This is the most unfortunate of all. The tooth is not cracked, it is still solid. The root treatment has been carried out with skill and precision. 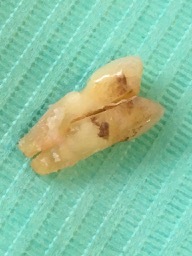 The tooth has been sealed up and restored with a crown. But after a bit, the tooth becomes painful to bite on. In a way, this is similar to the situation above, because it is due to tiny spaces harboring bacteria. But these are spaces that are microscopic, and there are several of them, in the 3 millimeters at the tip of the root. Sometimes this can be successfully treated by an expert endodontist, either by re-doing the root canal, or else by surgically removing the tip of the root. More on this at root canal surgery. But only sometimes. Otherwise, the tooth will need to be removed. These are the main causes of pain after root canal. There are some others, but they are rare. Post root canal pain normally only lasts a few days, and then settles down. If it lasts longer than 3 to 5 days, I suggest contacting your dentist again for a review. REMEMBER, I have written an 80-page e-book, that you can download for just $9.95. My book explains how to tell if you REALLY need to see a dentist, or whether you can save time and money by using a home remedy! 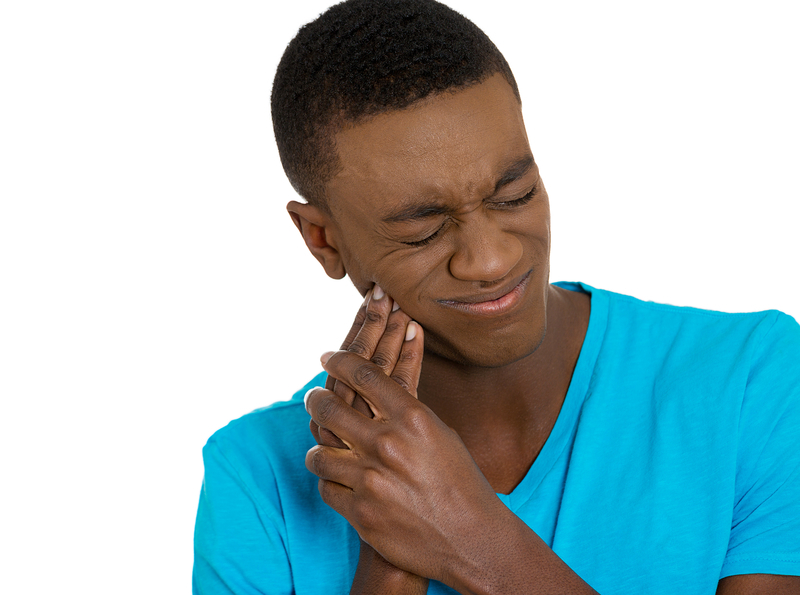 I have written all about the reasons for toothache, swollen gums and tooth infections, how to tell the different causes apart from each other, and ALL your possible treatment options. 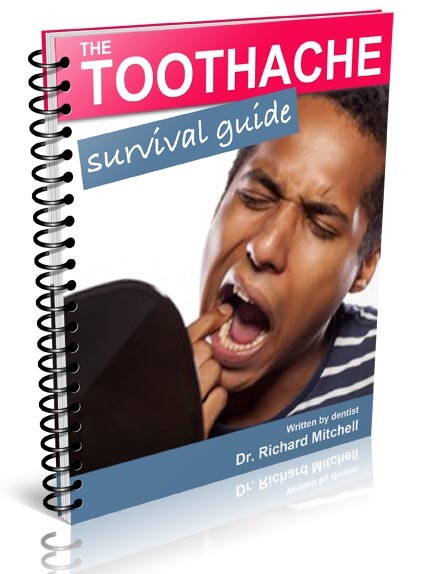 Click HERE to read more about The Toothache Survival Guide. Here's an article on pain after root canal at Healthline.com.